Barcelona have extended Luis Enrique’s contract for another season until the end of 2016-17 following their victory in the Champions League final. There had been doubts about his willingness to stay on, despite Barcelona’s success in his first season in charge, but in his end-of-season president’s address Josep Maria Bartomeu confirmed that a deal due to expire next year had been increased by a further 12 months. The coach had been bruised by his first few months in charge when the team were malfunctioning and there were reports of a falling-out with his star player Lionel Messi. Barça clicked in the second half of the campaign and Enrique went on to emulate Pep Guardiola’s achievement in winning the treble in his first year in charge, taking La Liga, the Copa del Rey and on Saturday, the European Cup in the 3-1 defeat of Juventus in Berlin. 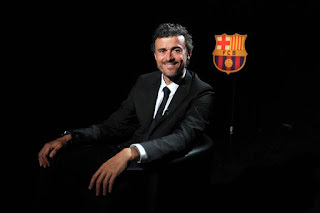 Afterwards Luis Enrique refused to commit to the club, saying a decision on whether to stay would have to wait. “It’s been a difficult year – a year of transition. I have to thank the people who trusted me. Those decisions will be made later though.” Now, though, he has been convinced to stay.